Dragon Hound will be the first modern game to use ray-tracing for both shadows and reflections. To date, we have precisely two games which use real-time ray tracing with Nvidia's RTX hardware and the DirectX Raytracing (DXR) API, but we've been told multiple times that ray tracing is the future and that more games are coming. 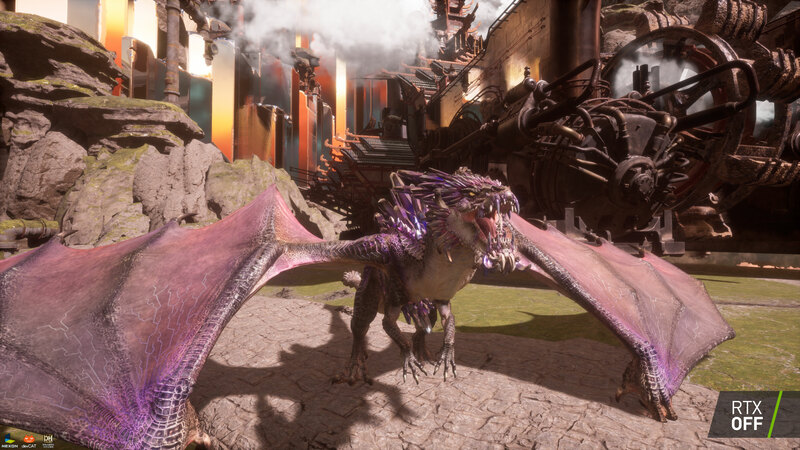 Today during the GTC 2019 keynote, Nvidia CEO Jensen Huang gave us another glimpse of the tech in upcoming Nexon MMO Dragon Hound. 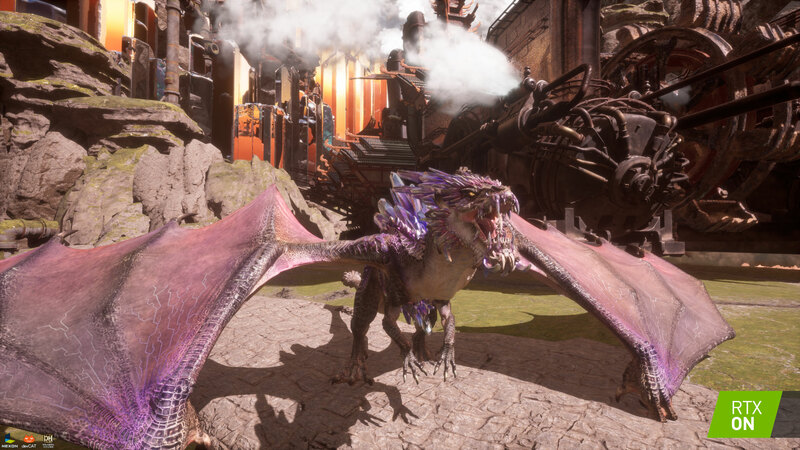 What makes Dragon Hound interesting is that it's not using DXR only for reflections (ie, Battlefield 5), or only for global illumination (Metro Exodus), or only for shadows (Shadow of the Tomb Raider—if the promised patch ever arrives). Instead, it will do both reflections and shadows. Maybe GI as well? Each additional domain of ray tracing requires more rays and thus more computational power, which is likely why every other released game to date has only used one aspect of ray tracing. Dragon Hound is doubling down on ray tracing, which implies one of two things. Either it will run slower than the other DXR games, or it will reduce the complexity of the scenes—or perhaps both. It's using a different engine, though, so we'll have to wait and see how it runs. We don't know much about the game right now. It's an MMORPG built with Unreal Engine (which suggests DXR support is coming soon to UE4), and it's being developed by DevCat. It looks a bit like a cross between Monster Hunter and an MMO, and right now, we haven't heard any word on a worldwide release. Hopefully that happens. In the meantime, check out these lovely ray-traced reflections and shadows.